(VEN) - Biomass energy development is an appropriate direction to diversify energy sources, contributing to ensuring national energy security, protecting the environment and developing rural agriculture. Tran Viet Ngai, chairman of the Vietnam Energy Association (VEA), said biomass energy development can help increase business efficiency of enterprises in such fields as energy, agriculture, forestry and fisheries. Biomass energy potential in Vietnam is extremely rich with large reserves. Specifically, agricultural waste accounts for the largest share (45 percent), firewood (30 percent), livestock waste (16-18 percent), waste and other organic wastes (5-7 percent). Nguyen Van Ngoc, board chairman of the Son Vu Energy Development Joint Stock Company, said Vietnam has been conducting research on a waste-to-energy technology model for more than 20 years. The development of biomass energy and renewable energy sources is Vietnam’s top concern as energy consumption grew about seven percent per year during the 2010-2020 period and is expected to increase further in the 2020-2030 period. 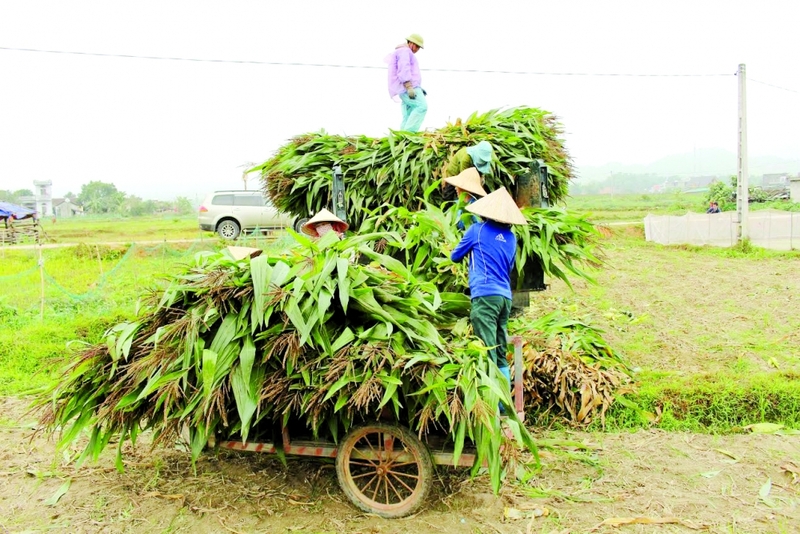 Nguyen Ninh Hai from the Ministry of Industry and Trade’s General Directorate of Energy, said Vietnam has only researched the use of biomass energy for power generation, while other advantages and uses such as bio-fuel production have not been studied. According to Decision 2068/QD-TTg on approving the development strategy of renewable energy of Vietnam by 2030 with a vision to 2050, the development orientation of biomass energy prioritizes the use of biomass energy for power production, biogas, biomass pellet directly used as fuel and liquid biological fuel. It also calls for increasing the percentage of waste of industrial and agricultural trees for energy purposes from around 45 percent in 2015 to 50 percent by 2020, 60 percent by 2030 and 70 percent by 2050. It foresees improvement of the percentage of livestock waste treatment for energy purposes (biogas) from around four percent in 2015 to 10 percent by 2020, 50 percent by 2030 and 70 percent by 2050. Total used biomass energy will increase from around 14.4 million tonnes of oil equivalent (TOE) in 2015 to 16.2 million TOE by 2020, 32 million TOE by 2030 and 62.5 million TOE by 2050. Regarding specific solutions for biomass energy development, enterprises have introduced typical application technologies suitable to Vietnam’s conditions, such as gasification of agricultural by-product residues and power generation technology from solid waste. Bui Hang Phuong from the Vietnam Energy Support Center presented six models, which clearly demonstrate the advantages of biomass energy, such as flexibility and suitability with various scales, and have many positive effects on the economy, society and environment. 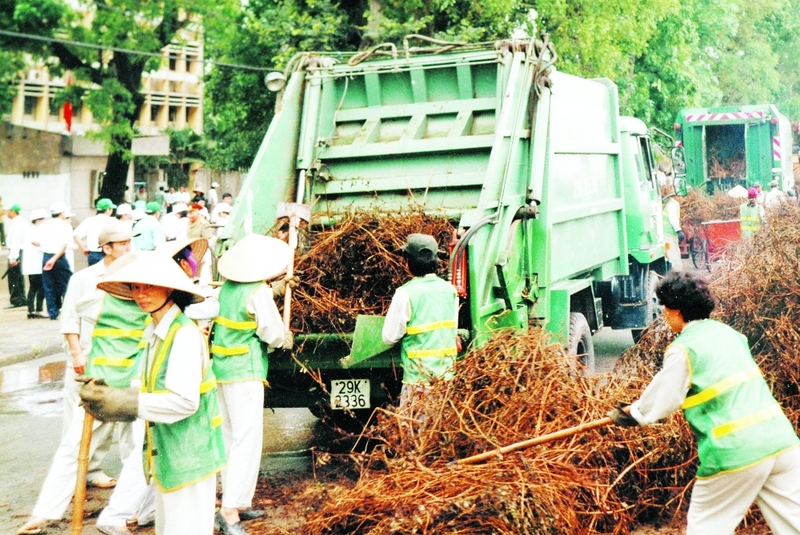 Pham Trong Thuc, director of Department of Renewable Energy under the Ministry of Industry and Trade’s General Directorate of Energy, said Hanoi and Ho Chi Minh City daily discharge more than 7,000 tonnes of waste into the environment. If biomass energy is developed in Vietnam, the environmental issue will be resolved, contributing to ensuring sustainable development of energy sources. To implement biomass energy development, Vietnam should have specific mechanisms and policies, as well as appropriate legal documents. In addition, the country must adopt short-term and long-term strategies and plans to develop this energy source at the national level. Pham Trong Thuc, director of Department of Renewable Energy under the Ministry of Industry and Trade’s General Directorate of Energy, said the Ministry of Industry and Trade would continue to study, propose and amend mechanisms and policies to support the development of biomass energy projects in particular, and renewable energy sources in general.